If you support punching members of the so-called “alt-right,” the folks over at Super Deluxe have the game for you. 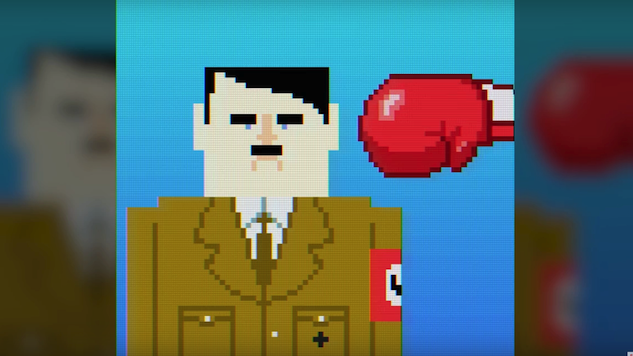 Introducing Punch a Nazi, a game that lets you pummel neo-Nazi (and just regular ol’ Nazis) using your mobile phone. Some of the people on the punch list include Hitler (a classic), Richard Spencer and Milo Yiannopoulos, who recently made headlines when his Berkeley appearance was canceled due to an outpouring of passionate, yet tumultous protests. Typically, Super Deluxe produces online original series, so this game is a slight deviation from their usual content. Perhaps they, like so many of us, couldn’t quite shake the need to punch members of a very specific group of people. The question of whether or not to punch Nazis has been in the news lately, ever since neo-Nazi scumbag and alt-right poster boy Richard Spencer got punched (twice) on the day of Trump’s inauguration. Some, like Paste’s own Shane Ryan, would argue for taking the high road here: “We have to resist with a dream of the future in our hearts, not a vision of destruction.” Ryan argues that engaging in violence as a form of protest only plays straight in Bannon’s hands. So is it really a good idea to play/promote Punch a Nazi? Or should we continue to suppress our violent instincts and pledge allegiance to peaceful opposition? Maybe the answer is simpler than we think. Watch below to see the promo video for Punch a Nazi and YouTuber Jeffrey Grubb testing out his Nazi-punching skills. Smartphone owners can play the game here. Finally, find Paste’s favorite Nazi-punching games and movies, respectively, here and here.